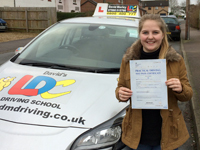 I have recently passed my driving test on my first attempt with help from David Morley's LDC driving school. David was very patient and helpful with me and he encouraged me as much as he could! I felt very at ease with David which made me feel more confident, which is essential when driving. I would highly recommend David if you want to learn quickly and efficiently! David also provided me with an LDC Driving Skills book which offered detailed information on manoeuvres, dual carriageways, roundabouts, crossroads etc. The workbook gives you the option to plan your own lessons which allows you to cover any topics that you feel you need to improve on. It also includes a 'tick off' sheet which allows you to tick off the criteria as you go along. Lastly, the book includes an example of the test sheet used in the actual driving test, and the ideal answers for the 'show me tell me' questions which was very helpful! All together the experience was great and I'm glad I chose David to teach me how to drive! 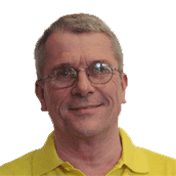 I'm a driving instructor in Newmarket, Cambridge, Bury St Edmunds and surrounding areas.